IT'S TIME TO STOP SACRIFICING YOUR HEALTH FOR THE SAKE OF BEAUTY. I believe we each have the power to decide what is safe or best for us simply by being able to read a label. We can't rely on marketing claims or greenwashing. Label reading is imperative, because without knowing what is actually in your product, you are just going off of the marketing message which often is total .....crap. Many companies ask their chemists to make the exact same formula as the bestseller and then throw in a drop of plant extract which can be marketed as natural and stick it in a green bottle. This is called greenwashing. You will be convinced by greenwashed claims if you don't know ingredients. 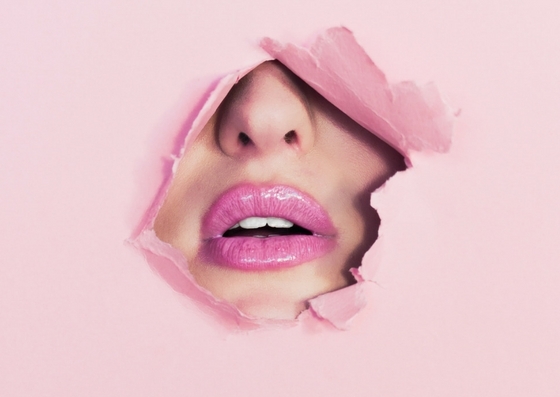 Are you a beauty addict who loves to look glam, but you've realized your favorite products have some seriously questionable ingredients? If you are sick of being duped by all the natural marketing claims and want to know for sure that you are buying a product that is safe for your body and worthy of your dollars, this program is for you. The beauty industry is rampant with harmful ingredients like parabens and phthalates which can cause endocrine disruption, oxybenzone which can cause skin sensitivity and synthetic fragrances which lead to a host of health issues. Beyond these big bad guy ingredients, are you confused about ingredients such as Japanese honeysuckle, phenoxyethanol, and FD&C dyes? How's a girl supposed to choose! Girl, I've got. you. covered. I aim to provide you with information and tools so you are well informed regarding the chemicals in your makeup bag. It's all about balance and what YOU feel is best for you. You will learn everything you need to know to become a conscious, wise, empowered consumer of non-toxic beauty products in a time efficient manner. I know you're sick of piecing together information from Google searches, Pinterest and blog posts. This is your one stop shop to label reading right here. Clean Beauty Academy will teach you everything you need to know, plus systematically walk you through curating your own beauty stash, using the method I personally used and continue to use to this day.